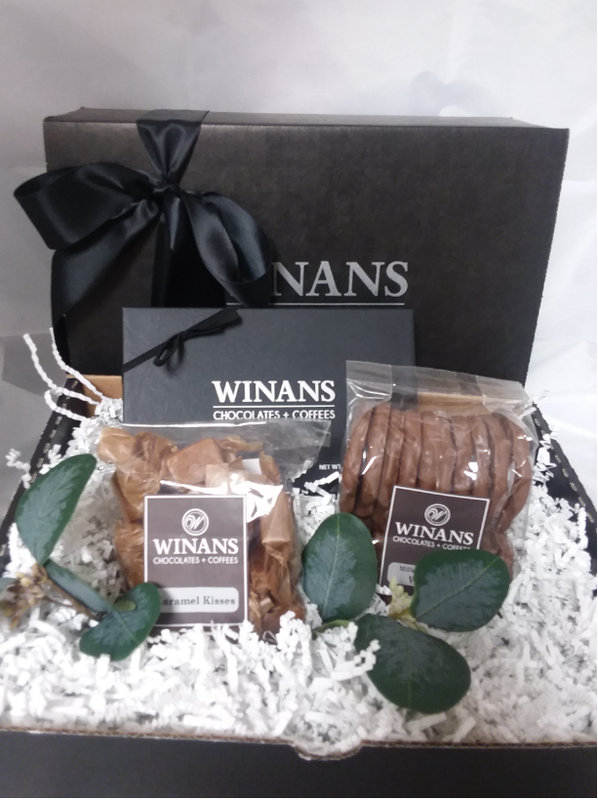 Winans box filled with 1/2 lb. 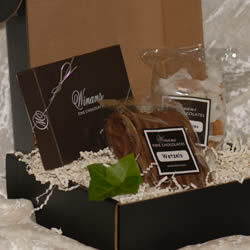 assorted chocolates, 1/2 lb. chocolate covered pretzels (Wetzels) and bag of chewy copper kettle caramels.